Showcase all of your on-the-go beverages with this Choice 12 oz. 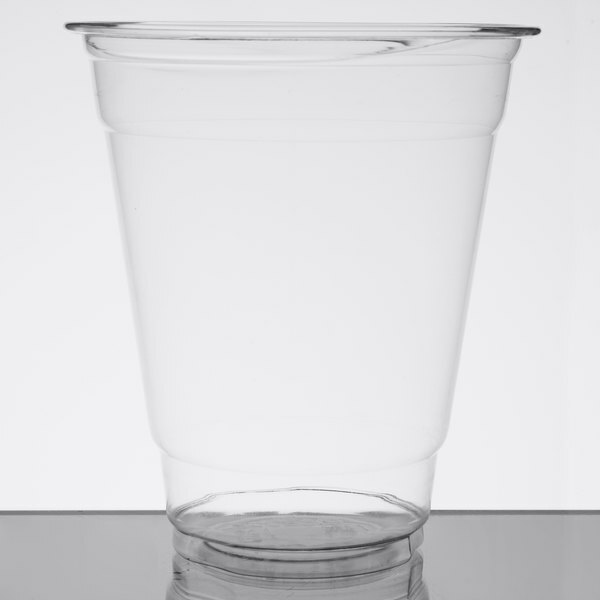 clear PET plastic cup. 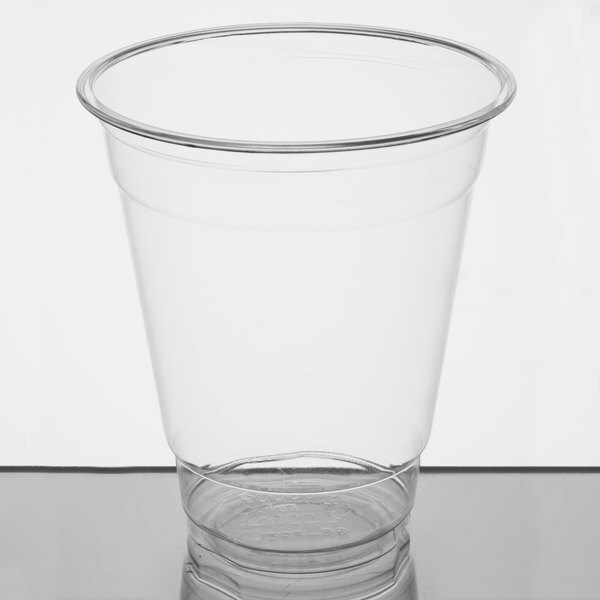 A great addition to your kiosk, concession stand, fast food restaurant, or to-go establishment, you can't go wrong with this Choice PET plastic cup! Its simple design makes it perfect for a variety of beverages so you can stock your shelves and never be without this convenient, disposable cup. 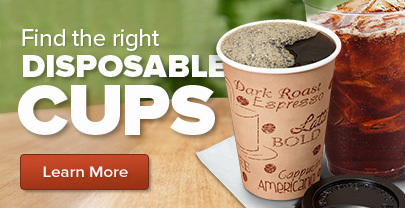 "These cups are an excellent choice for our business. In my opinion, they are equal in quality to the Dart cups, but come at a much more affordable price." Made with 30% recycled PET plastic, this plastic cup is crack-resistant so you can confidently serve lemonade, fountain drinks, smoothies, and more! Without the hassle and worry of cracked sidewalls, you can minimize customer complaints by providing durable drinkware for an enjoyable experience. 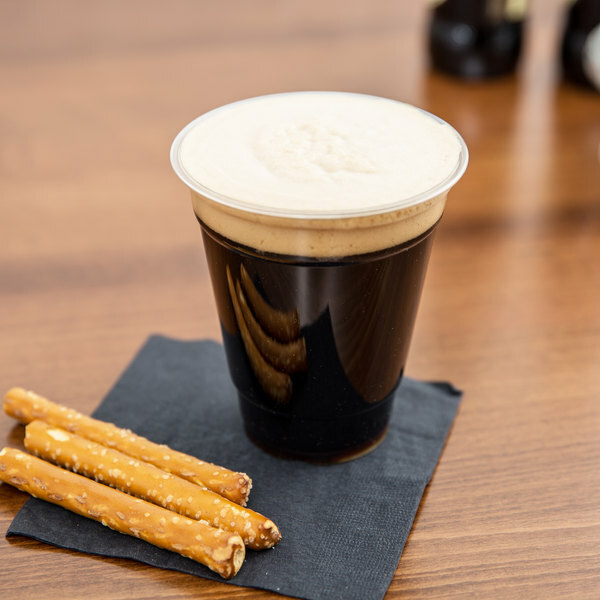 A rolled rim provides a comfortable drinking experience and ensures a secure fit when a compatible lid (sold separately) is added for to-go applications. The crystal-clear plastic construction gives this disposable drinkware an upscale appearance and helps boost impulse sales for all of your thirst-quenching beverages. 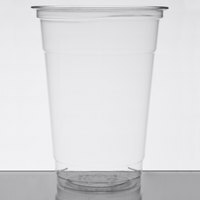 Are these cups compatible with Dart Solo lids? 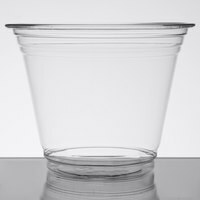 These cups are only compatible with specific Choice lids, not Dart Solo brand products. 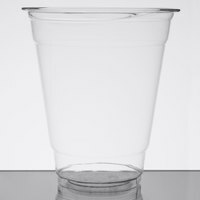 This Choice brand 12 ounce plastic cup is a nice size and is attractive for a disposable plastic cup. We also like buying 1000 at a time. We love the cup! Really sturdy and clear and it is a very innovative way to use for a cupcake holder. Everyone love the idea! 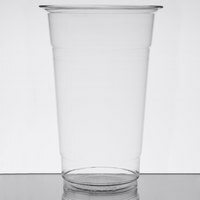 These cups are a wonderful choice for our business. High quality at an affordable price point. They are sturdy, made of part recycled plastic and perfect for our cold press iced coffee. Good quality for the price. I expected these cups to be on the "flimsy" side but it does not bend leak when pressed down by lid. These cups are exactly what I wanted! They are super sturdy and don’t look cheap! My customers love it! Highly recommendable product. Will be purchasing more! Thank you ?? Great quality. Easy to use and store. Appropriate for all serving and catering needs. Highly recommended. We use it for our cold beverage servings in the store. 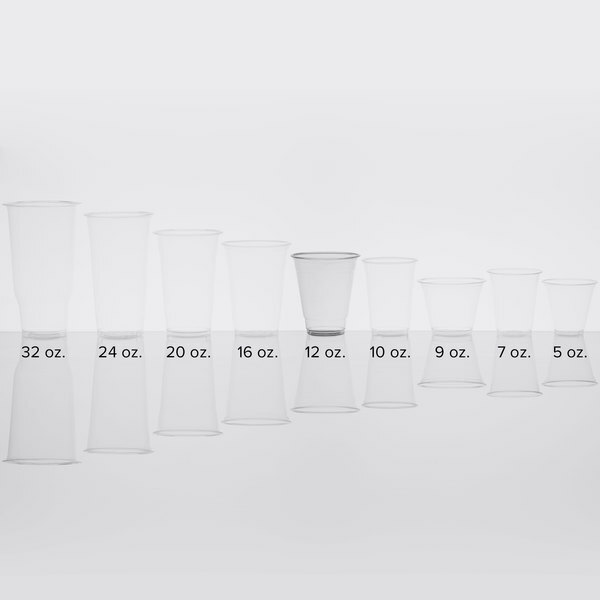 The transparency of these cups make them ideal to show off the colores of natural juices. I like the size of them for gatherings with friends. Good visually appealing economic choice if you need to serve drinks in plastic containers but still want the glasses to look a little higher quality. These cups were ideal for my event. They look classy and are durable. The price is just right, too. I will recommend them. Good buy! A decent to-go cold cup. Sadly, they are not as environmentally friendly as some, but are recycleable, so that's a bonus. The lids snap on tightly to avoid leakage. Cups came in perfectly. Exactly what we needed for our coffee. They are really sturdy and when putting hot coffee in at first it still stays sturdy. I will have to say that these cups are very good and the lids fit very well and are easy to put on. The value and price speaks for itself. A good, economical choice for a disposable cold cup. I like these to set out at parties or catering events where I need to use disposable table wares. 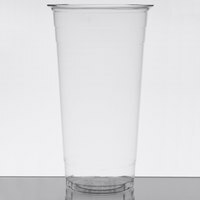 I bought these cups as a test for a product. They didn't work out for what I need but they are a nice & sturdy cup! These cups are so versatile! We use them in our coffee shop and at our bar. They are made of durable, heavy plastic so there isn't a cheap feeling to them. We will continue to reorder frequently! This is a good sturdy cup. We use them for iced and frozen drinks and they hold up well. Perfect size and shape for cup holders in cars.